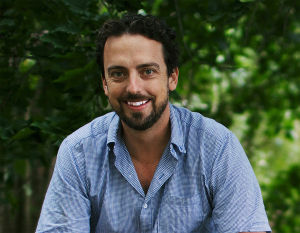 Filmmaker Jake Boritt's latest project is 'The Gettysburg Story' documentary to be broadcast on public television in 2013. In 2010 he wrote and produced the "The Gettysburg Story: Battlefield Auto Tour" performed by actor Stephen Lang ('Avatar', 'Gettysburg'). It is now the bestselling audio tour at the Gettysburg Battlefield. In 2010 his film "759: Boy Scouts of Harlem" was broadcast nationally on public television via MPT. The New York Daily News gave it "Three Stars" calling the film "subtle and uplifting." The Boston Globe called it a "genial documentary..." saying "Boritt and (co-director Justin) Szlasa have talent." The film premiered at the Schomburg Center for Black History in Harlem and screened on the USS Intrepid and in the United States Capitol sponsored by Senators Skelton and Sessions. Boritt's short documentary for the United Nations and Project Gaia followed Somali refugees in Ethiopia's Ogaden Desert and the Clean Cook revolution. This project, "Cooking to Live," featured music by hip-hop artist K'Naan and in 2009 it premiered at COP15: United Nations Conference on Climate Change. Boritt also produced several short films for the United Nations Development Program: South South Cooperation featuring actor Danny Glover. Boritt's 2007 film "Budapest to Gettysburg" explored the story of his father Professor Gabor Boritt, a world renowned Lincoln and Civil War scholar who returned to Hungary to find his roots in the tyranny of Hitler and Stalin. "Budapest to Gettysburg" was selected for the 2007 IFP Independent Film Week in New York and screened at the Museum of Fine Arts in Boston as part of the Boston Jewish Film Festival, and was finalist for the documentary series POV. In 2003 Boritt shot and produced an anthropological documentary with a tribe in Borneo called "The Internet and the Water Buffalo" exploring the effects of a satellite internet connection in a remote indigenous village in the interior jungle highlands. It screened at American Anthropological Association. Jake was Associate Producer on Rory Kennedy's Moxie-Firecracker production "The Homestead Strike", part of the Emmy winning History Channel series "10 Days That Changed America." Boritt worked with Sarah Teale on productions for HBO, A&E, AMC and CourtTV and on David Grubin's "Young Doctor Freud" and "Kofi Annan: Center of the Storm" (PBS). Ken Burns called Boritt's first documentary "Adams County USA" (WITF) “a really good film.” Boritt has appeared on The Oprah Winfrey Show, in Vanity Fair and Newsweek. He has helped guide the President of the United States on the Gettysburg battlefield. Boritt graduated from Johns Hopkins University where he studied under multi-National Book Award nominee Stephen Dixon. Boritt was raised on a Civil War farm in Gettysburg that served as a stop on the Underground Railroad and a Confederate Hospital during the battle. Learn more at www.boritt.com.